When you are traveling, your money, passport and identification documents are possibly the more important things you will be carrying with you or needing to keep safe. This is where a travel wallet comes in. There are many different types of travel holders. 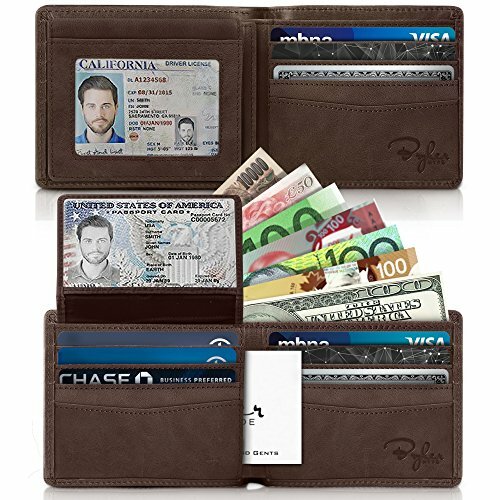 There are wallets that RFID protection, compact wallets, rip-proof wallets, money bags, and even a belt that will keep your money and documents safe. There is one simple reason for needing a travel wallet, you need to keep your valuables safe. If you are in a new city, you are going need money, your bank cards, and some form of identification in case of an emergency. You need to ensure these important documents aren’t off of your person, but they must still be kept safe. In other words, needing a travel wallet is actually common sense, and we strongly advise you purchase one we have on our list, they are the best after all. The best RFID blocking travel wallet is the Venture 4th Travel Neck Pouch. The pouch does not only block against data theft, but it is also water-resistant. The pouch is ultra-lightweight and can be easily stored and carried. It is ideal for carrying your gear secretly underneath your shirt or jacket. The best leather travel wallet or passport cover is the Villini Leather Passport Holder. The holder is made from very high-quality leather, and it is designed to be durable and long-lasting. 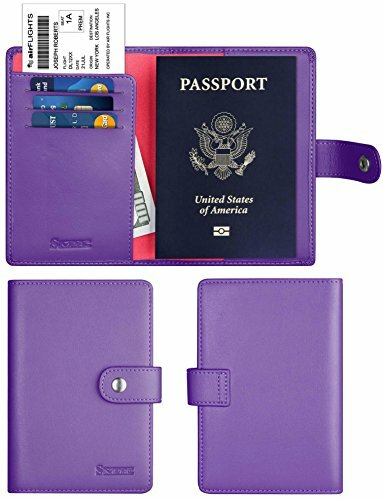 The passport holder can easily carry your passport, cash, and other copies of identification or travel documents you may need for your trip. The most compact travel wallet is, without doubt, the Fjallraven Passport Wallet. It is made from the highest quality materials, is incredibly well-made, and above all, super-compact. You are able to store all your travel documents safely and securely, within a lightweight wallet that can fit into your pocket or backpack with ease. 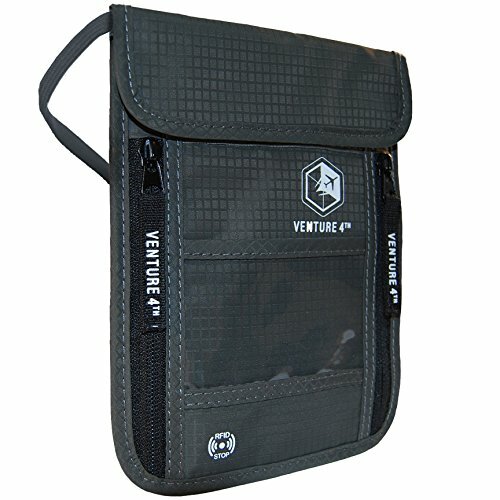 Our pick for top neck pouch is the Venture 4th Travel Neck Pouch. The pouch is made from top quality materials and is made extremely well, with immense precision. The pouch is also able to hold everything you need for your travels, as well as cash and a phone. You can store multiple passports and travel documents if you aren’t traveling by yourself. The best travel wallet is definitely the Fjallraven Passport Wallet. Fjallraven ae known for their top quality materials and design, as well as their high-end craftsmanship. It may be a bit more expensive than you are willing to pay, but we assure you, it is the last and only travel wallet you will need. The Active Roots Security Belt is made from high-quality nylon webbing, and can easily replace your normal belt when traveling on holiday. 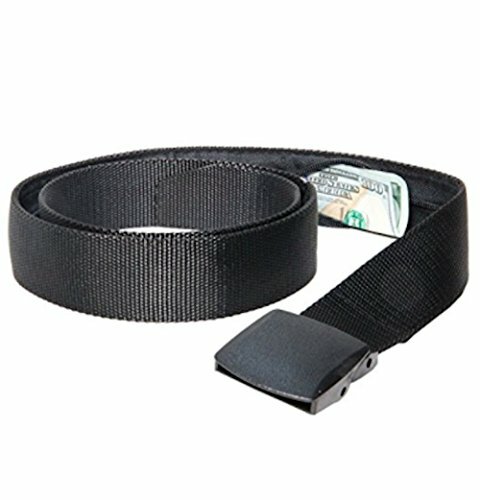 The belt is made for both men and women and is easily adjustable to fit anyone. The biggest selling point for this belt is the secret pocket hidden inside the belt. 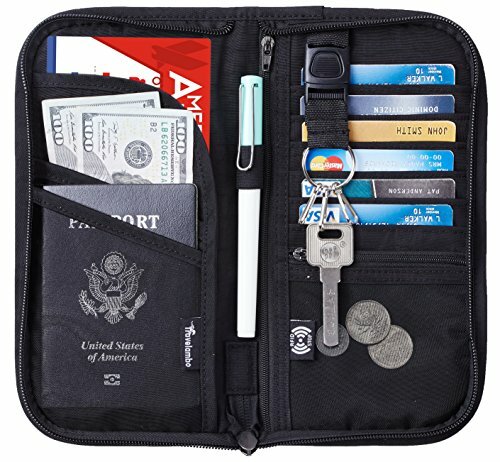 This security pocket is able to store money, identity document copies, bank cards, or any other copies of important travel documents. Easily store and hide everything you need. 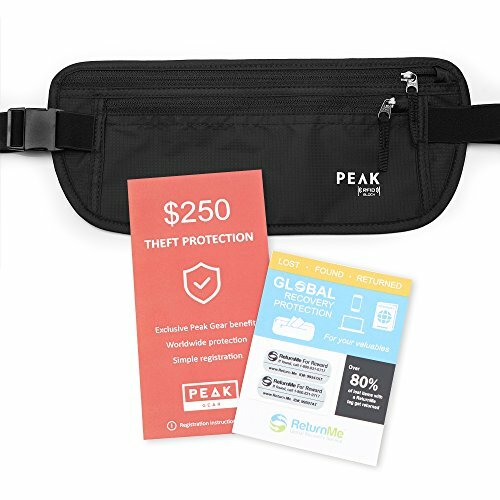 The Peak Thin Profile Money Belt is a lightweight and thin profile money wallet that is ideal for the frequent traveler, backpacker, or someone taking their first overseas trip. The Comfort Soft straps are adjustable and easy to wear for both men and women. The pack comes with two hidden compartments and pockets to store most credit cards and passports. The entire pack id data theft proof as it is RFID blocking, therefore you do not need to sleeve any individual documents. The Villini 100% Leather Passport Holder is an incredibly high-quality genuine leather. The passport holder can hold almost every type of passport and is extremely well priced for the quality of material and workmanship involved. These passport covers are made from a new technology that allows the cover to bend and warp, and return to its original shape. These covers are incredibly durable and can withstand years of wear and tear. The SimpacX Genuine Leather Passport Cover is made from incredibly high-quality leather and is made to last. The leather is incredibly durable and can handle any situation, no matter the destination. The card slots in the passport holder have the RFID blocking technology. Your passport slot, as well as your credit and bank card slots, are protected from frequencies between 10MHz and 3000MHz. 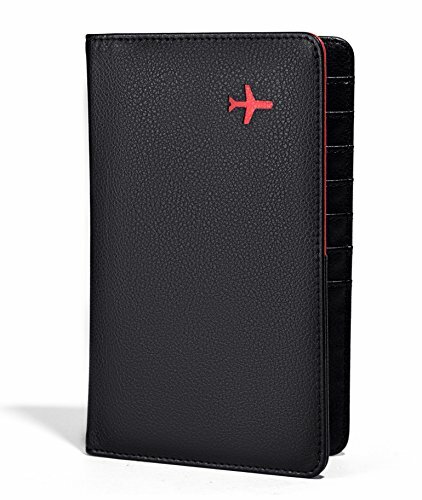 The Travel Navigator Leather Passport Holder is made from genuine, high-quality leather. It is an ideal traveling accessory, with its high-end materials. It offers a slimline design making it lightweight and compact. The holder is incredibly versatile, and can easily be used as a traveling wallet as well. It is able to store money, identity document, credit cards, and banking cards. It has RFID blocking capabilities to ensure your personal data stays protected. The Travelambo Travel Wallet and passport holder is a very versatile travel wallet made from high-density waterproof nylon that is incredibly strong and durable. It is also very compact and lightweight, even when fully packed. 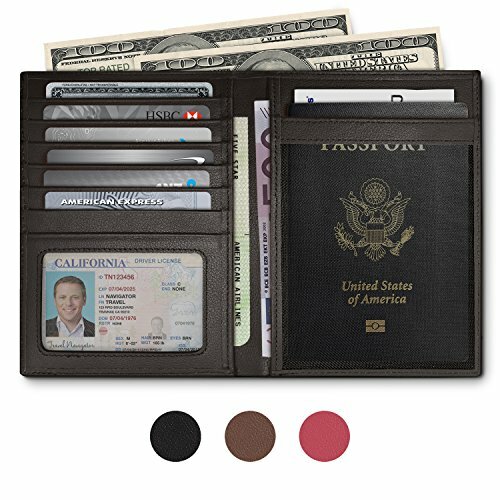 The wallet can hold your passport, money, coins, banking cards, as well as cell phones or coins. The RFID blocking technology also ensures all of your bank cards and personal documents are protected against data thieves. The Fjallraven Passport Wallet is an incredibly high-quality and very well-made travel wallet, made to last for years to come, no matter the circumstances. It is made of 100% polyester and is very durable. The zippered wallet is G-1000 HeavyDuty and the lining is in G-1000 original. The wallet can hold your passport, credit cards, and cash, as well as any other important documents you may need on your travels. 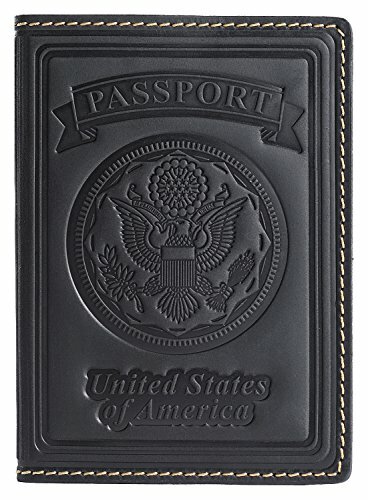 The Travelambo RFID Blocking Passport holder is a leather passport holder that also comes with a 1-year return warranty, brilliant if you are not entirely satisfied with your purchase. It has a practical and stylish design. The holder can store multiple bank and credit cards, ID cards, as well as any other important travel or identification documents you may need to carry. The wallet has RFID blocking technology to help stop data thieves stealing your information. 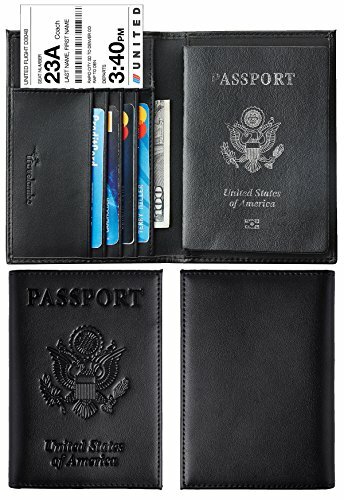 This all-in-one travel wallet from Travel Design is multiple passport holders that is a great companion for any trips. You can hold two passports, as well as boarding passes, bank cards, and credit cards. The holder is made from leather and is soft and durable. It is designed to be durable and last for an extended period of time. The lightweight and slim design mean it is easy to store and travel with. The Venture 4th Travel Neck Pouch is a brilliant travel wallet for anyone needing to carry multiple items at a time while traveling. It is able to hold your passport, money, bank cards, multiple identity documents, and even your phone. 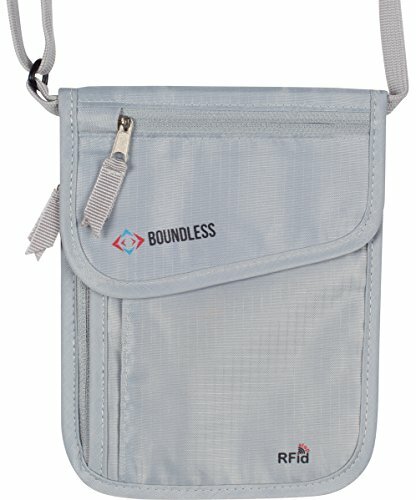 This lightweight and water-resistant neck pouch is brilliant for traveling as you can easily hide it and prevent any thieves from snatching it. The RFID blocking technology almost prevents your data from being stolen. 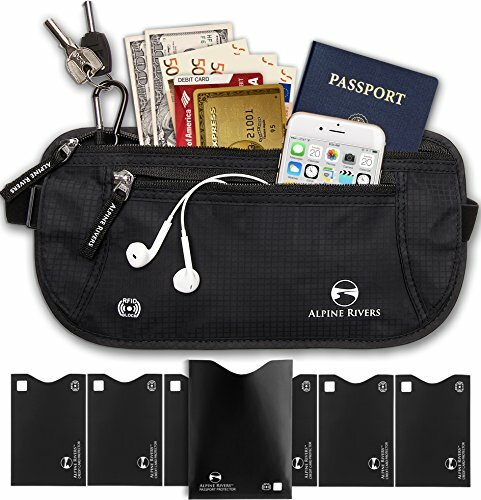 The Alpine Rivers Money Belt is made from heavy-duty RFID blocking and water-resistant nylon material. The bag is highly durable and strong, definitely designed to last for multiple trips and years. The bag is big enough to store passports, money, bank cards, as well as a cellphone. 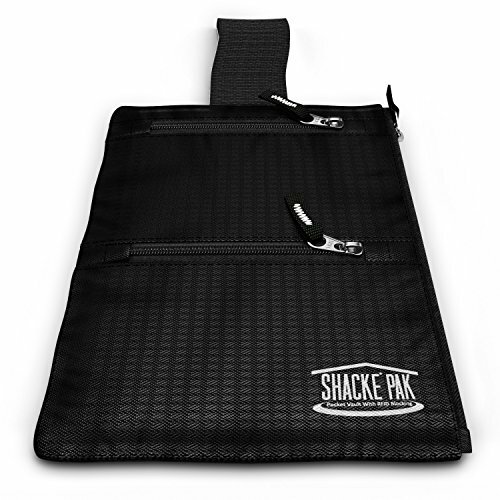 The pack comes with 7 RFID blocking sleeves to add extra protection for your bank cards. The bag is also lightweight, and very easy to wear under clothing or a jacket. 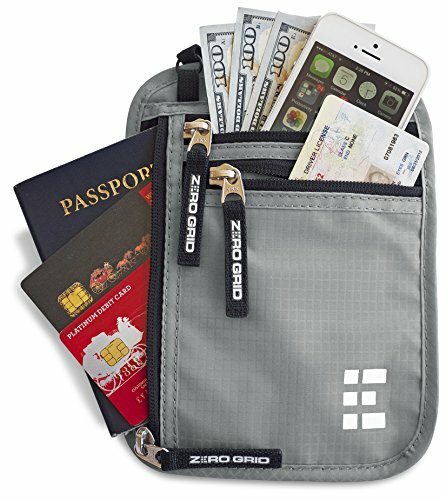 The Zero Grid Neck Wallet is a multi-purpose neck wallet that has multiple storage compartments that can hold everything from your passports, cash, bank cards, multiple passports, as well as other identification documents. The wallet is made of highly durable and strong ripstop nylon fiber which is extremely lightweight and water-resistant. The pack also has great moisture wicking capabilities when you are wearing the pack under clothing. 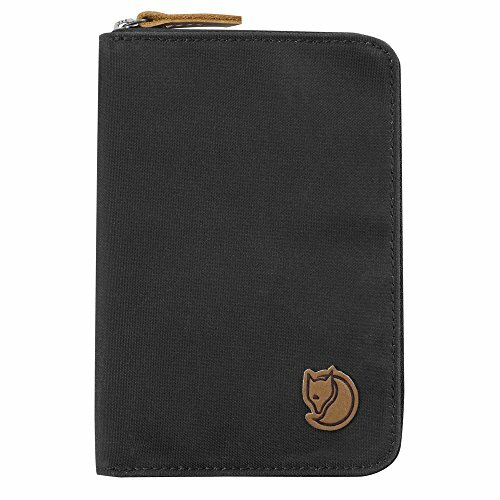 The Boundless Neck Wallet is made from highly durable and strong nylon that is also water-resistant. The wallet has RFID blocking capabilities, ensuring all your personal data is protected at all times. The pack has multiple storage options, you can store multiple passports, bank cards, cash, and other ID documents. The neck straps ensure you can comfortably wear the wallet around your neck all day. 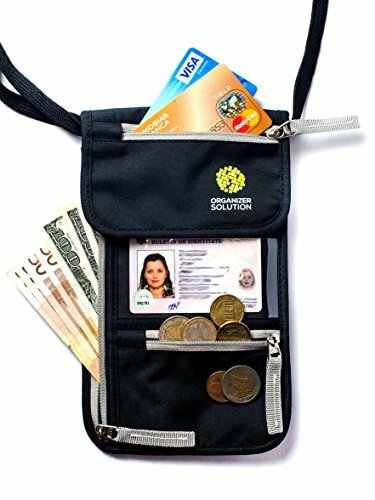 The Organizer Solution Travel Neck Pouch is a multi-purpose travel wallet that can be used as a travel document holder when in transit, and then a travel wallet once you reach your destination. It can hold everything you need for a day out on holiday. The pouch has a long strap and can be worn in various ways. It is easily hidden under a shirt or a jacket if you want to keep your essentials extra secure. The pouch is also RFID blocking, ensuring data thieves can’t steal your information. The Bryker Hyde 2 ID Window Wallet is a great traveling companion for anyone from a backpacker, to businessmen. The high-quality leather is durable, strong and long-lasting. The wallet is also quite slim, even with its large storage capacity. The wallet can hold multiple cards, ID’s, cash and coins. The wallet also has RFID blocking technology, ensuring your data stays protected. The only downside is that the wallet can’t hold a passport but it can hold passport copies. The Shacke Hidden Travel Belt is a brilliant piece of gear for anyone who is worried about being pickpocketed while traveling. Easily store your important bank cards and travel documents in the wallet, and then hide it out of sight. The wallet is fitted with three different compartments, allowing you to store multiple bank cards, passports, cash, and coins. You can slide the wallet onto your belt loop, and then either keep it there or flip it inside your pants to hide it completely. There are a number of important aspects and features you need to take into consideration when buying a travel wallet. You need to ensure it is sturdy, well-made, and able to store everything you will need. Obviously, the most important factor that will decide which wallet you buy, is how much money you have to spend on it. With regards to budget though, with travel wallets and everything else, you are going to get what you pay for. If you just need a temporary wallet that doesn’t have to last longer than a single trip, you won’t want to spend too much and will probably opt for a cheaper material such as plastic or something similar. If you are wanting to turn this purchase into more of an investment, you are going to want to buy something made from a stronger and more durable material such as leather, therefore ensuring the wallet is more durable and lasts much, much longer. The next factor that will influence your decision is the actual size of the wallet. You are going to need a wallet that able to hold your important documents, money, and bank cards.no point in buying a wallet that can only hold one thing. If you are traveling with your family, you need to take into consideration the fact that you are going to need a wallet that can hold and store multiple documents or passports. Just keep that in mind. The durability of the wallet will almost entirely dependent on the material used and its construction. Once again, budget and durability go hand in hand with the amount you are willing to spend will decide which materials you can buy. The first choice would be leather. It is strong, durable and long-lasting. If you are a frequent traveler and require something that can stand up to wear and tear and constant use, leather is your best friend. You will need a wallet that actually keeps your belongings safe. Sometimes having a button to secure it or a strap is enough for some people, while others want something that’s a bit more sturdy or high-tech. Many travel wallets and passport protectors are fitted with RFID blocking features. This feature prevents any potential thief from stealing data off of your bank cards, passport and ID documents. A travel wallet is an essential piece of gear for any frequent traveler. Whether you are a backpacker, a businessman, or someone with a love of wanderlust, a travel wallet can and will protect your important documents, cards, and travel ID. Many of these are fitted with RFID blocking capabilities, ensuring your data is also protected. Investing in a travel wallet is more definitely not a waste of money, and we hope you have found one here that is ideal for your next holiday or adventure. Guys Top Travel is a participant in the Amazon Services LLC Associates Program, an affiliate advertising program designed to provide a means for sites to earn advertising fees by advertising and linking to Amazon.com. Amazon and the Amazon logo are trademarks of Amazon.com, Inc. or its affiliates. Guystoptravel is a participant in the Amazon Services LLC Associates Program, an affiliate advertising program designed to provide a means for sites to earn advertising fees by advertising and linking to Amazon.com. Amazon and the Amazon logo are trademarks of Amazon.com, Inc. or its affiliates..